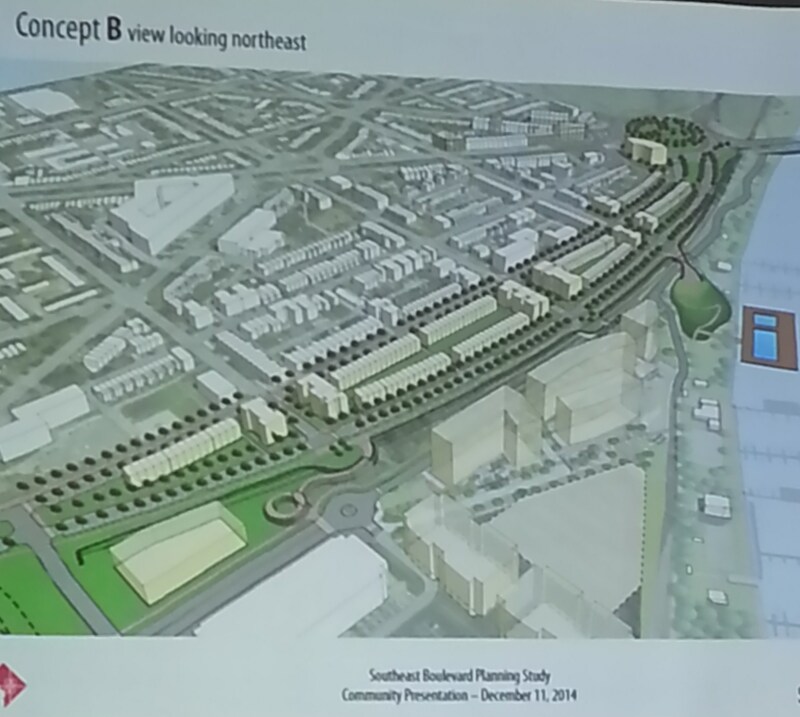 Last night, some 70 residents attended a meeting on the Southeast Neighborhood Planning Study to offer input on three concept designs unveiled by the Office of Planning (OP) for a proposed Southeast Boulevard connecting 11th Street, SE, to Barney Circle. CM Tommy Wells, who hosted the meeting, told the audience that the original plan for the boulevard designed by DOT traffic engineers had been a disappointment. Wells got the Office of Planning involved to explore opportunities to “knit the community together,” he said. 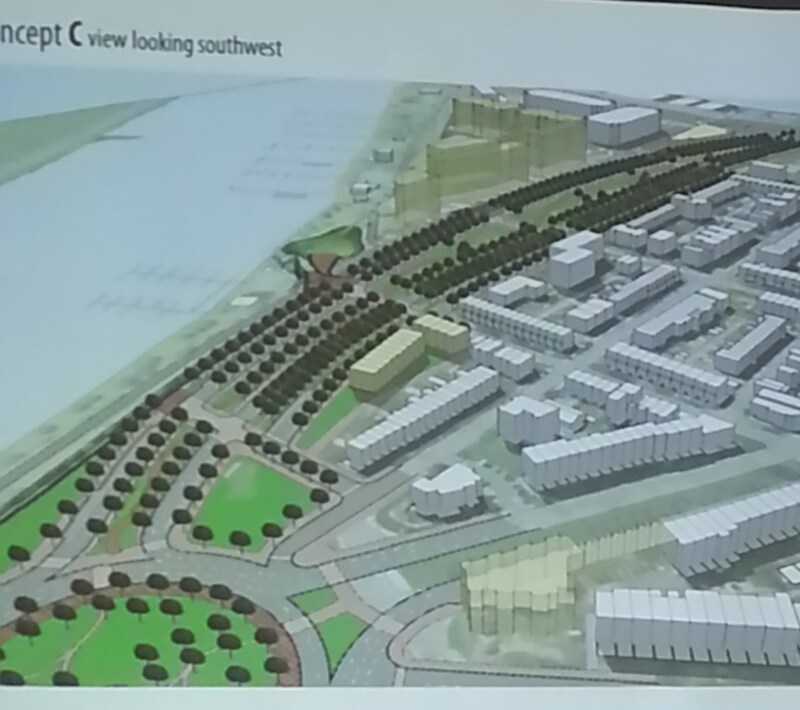 The three options presented by OP provide three different approaches to doing this, though all have the common feature of connecting the residential area south of Pennsylvania Avenue, SE, to the Anacostia Waterfront. Two of the options would address Capitol Hill’s tour bus problem, providing low visibility below grade parking for buses which now traverse and sometimes park on Capitol Hill streets. The plans for all three options will be available on the Office of Planning’s website on Monday. http://1.usa.gov/1Ar1XWE Contact information for project manager Dan Emerine is on this page and comments may be emailed to him. 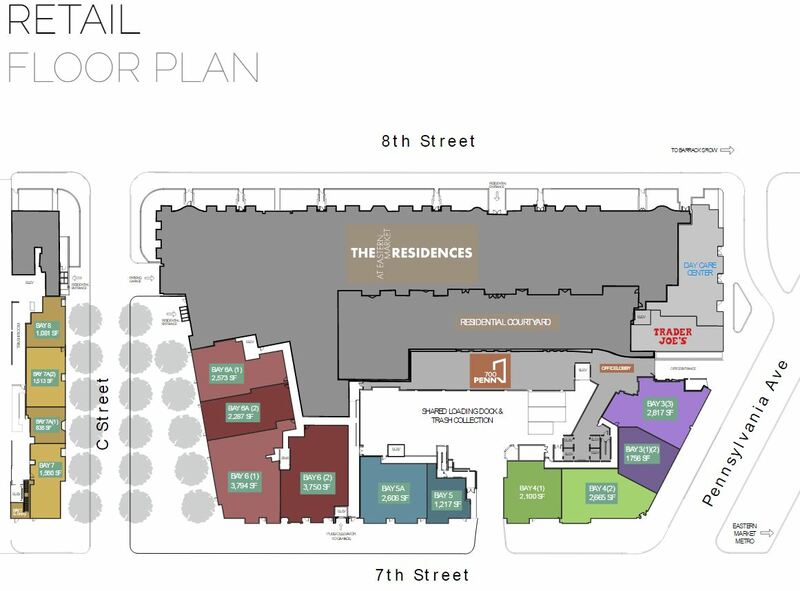 The first option would provide a FOUR lane boulevard separated by new townhouses and multifamily housing and provide parking for buses under the boulevard. 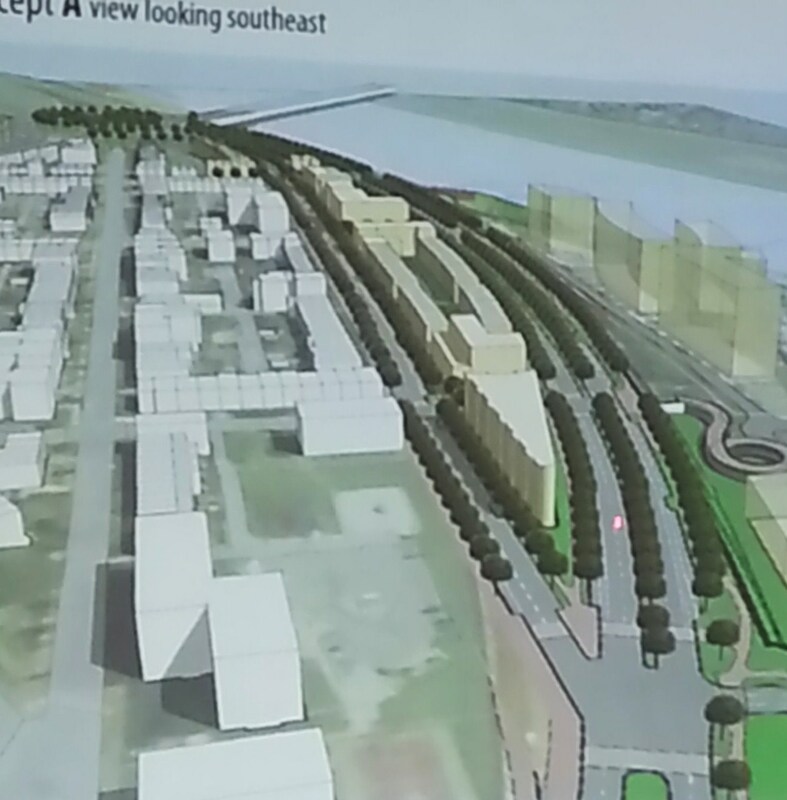 The second option would provide a TWO lane boulevard with parking on both sides, and new separated by townhouses and multifamily housing but no parking for buses. Concept B. 2 lanes, residential, no bus parking. Note floating swimming pool in river, bottom right center. 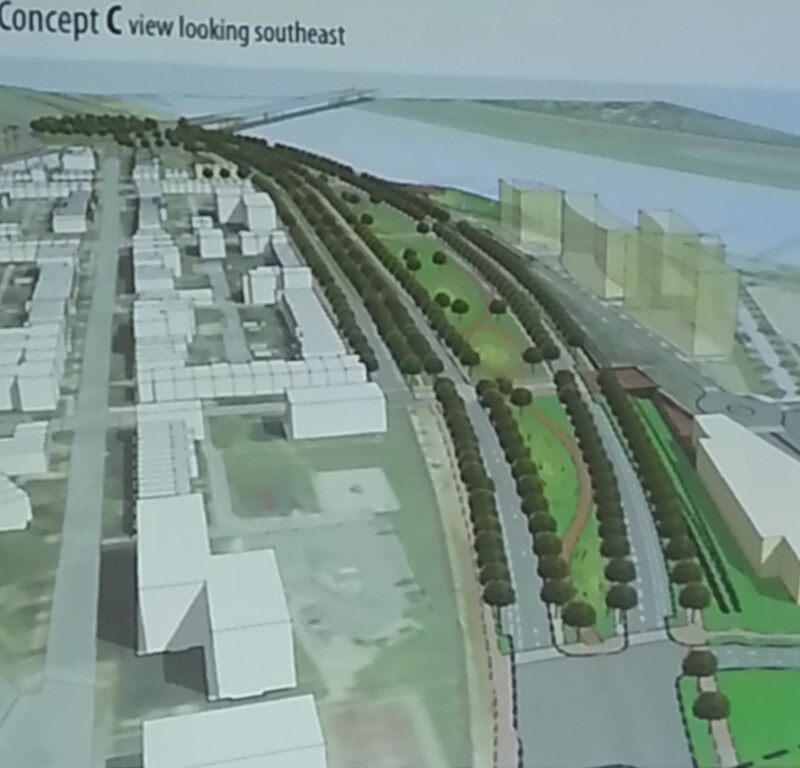 The third option provides a FOUR lane boulevard split around a long park – two lanes on the north and south sides, no additional housing, and bus parking under the park. Concept C. 4 lanes separated by broad greenspace/park. No residential but parking for buses. One question a resident asked for which no direct answer was provided was why the boulevard is necessary at all. 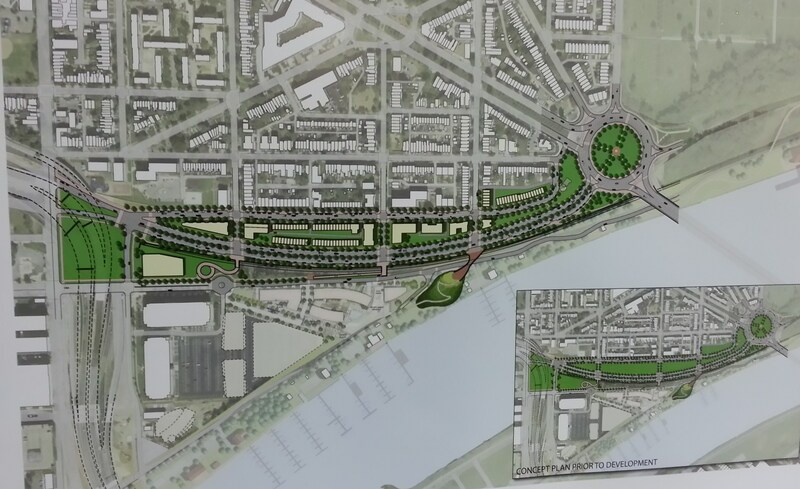 Reasons offered during different portions of the meeting to justify the project included: to accommodate current and future traffic, to provide access to new development on the Anacostia Waterfront, and to provide easy access from Ward 7 to downtown. DDOT was not prepared last night to discuss expected traffic loads for the boulevard or to say how the project would fit into the traffic patterns in neighborhoods to the north. The designs are preliminary and will be modified by community input. 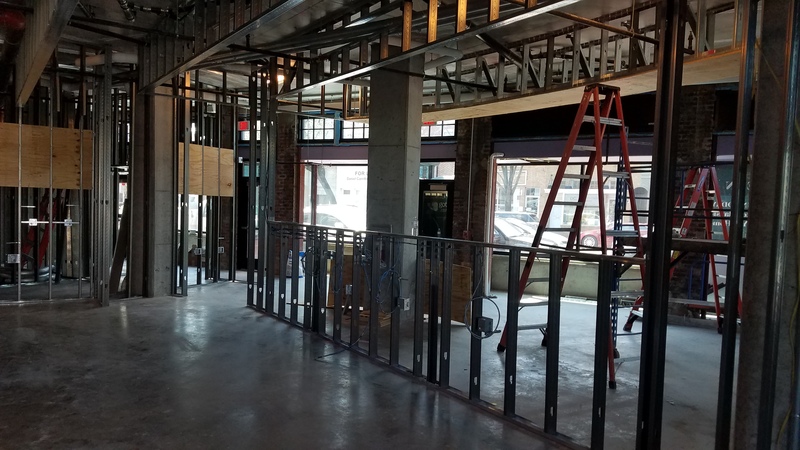 The next step will be for DDOT to undertake a feasibility study to determine which elements of the three plans are actually possible. Some of the issues that will be considered could include changing the classification of the land in question, the cost of the infrastructure, what’s underneath the land, the impact of a four vs. two lanes, bus issues, and the impact on Ward 7. 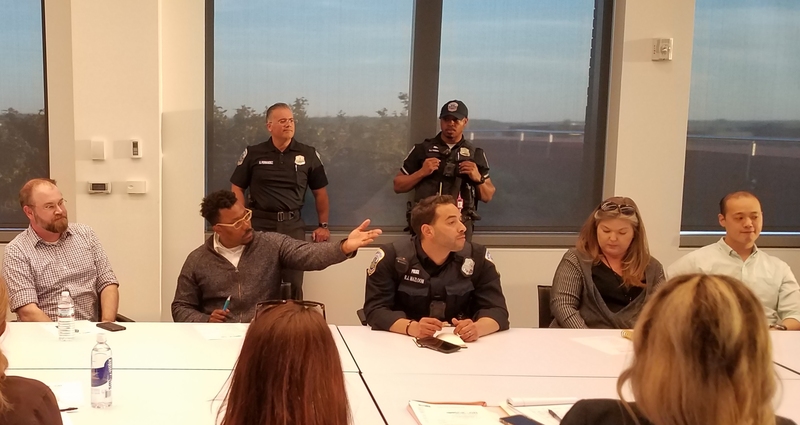 One theme that emerged at several points during the meeting concerned the heavy hand exercised by DDOT in carrying out its plans; even CM Wells said at one point that his office had not been kept aware of DDOT’s intentions. 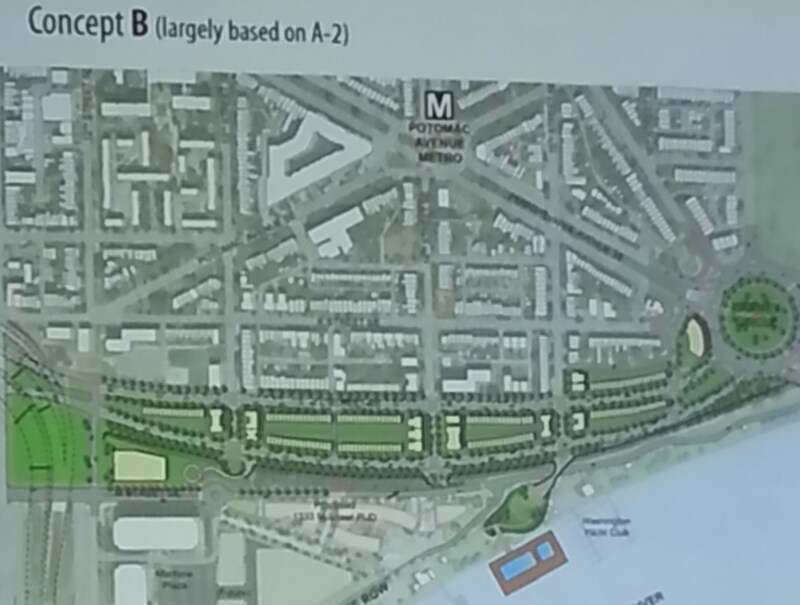 ANC6B commissioner Brian Pate reinforced that notion, telling CHC that DDOT had not been transparent in relating to either the ANC or the community as it moved ahead with re-opening the Southeast Freeway or with planning the proposed Boulevard. A DDOT representative present pledged to meet with ANC6B on a quarterly basis to keep them abreast of the progress on moving to the feasibility study phase for the project. Where are the train tracks, next to the landscaped part on the south or under it? I don’t see it in any of the three concepts. On all of these concepts, there is fill that brings all land up to the level of L street south of the existing road to the railroad tracks. You can see the cross sections here. Thanks. This is what I saw in the original drawings, so that has not changed apparently. 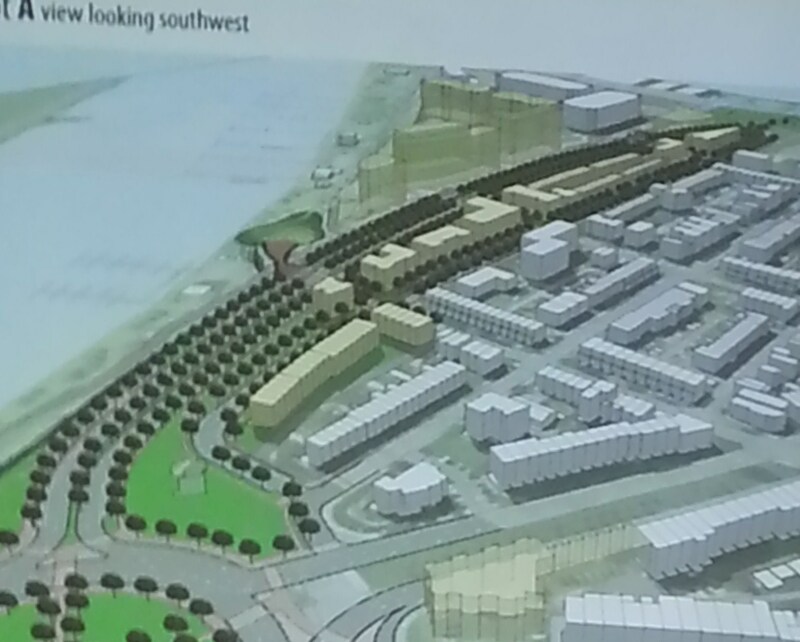 What is a bit confusing is if you go out and look at the grading, the grade for the new boulevard is a lot higher than L Street–and looks like it would be more than high enough to go over the tracks. 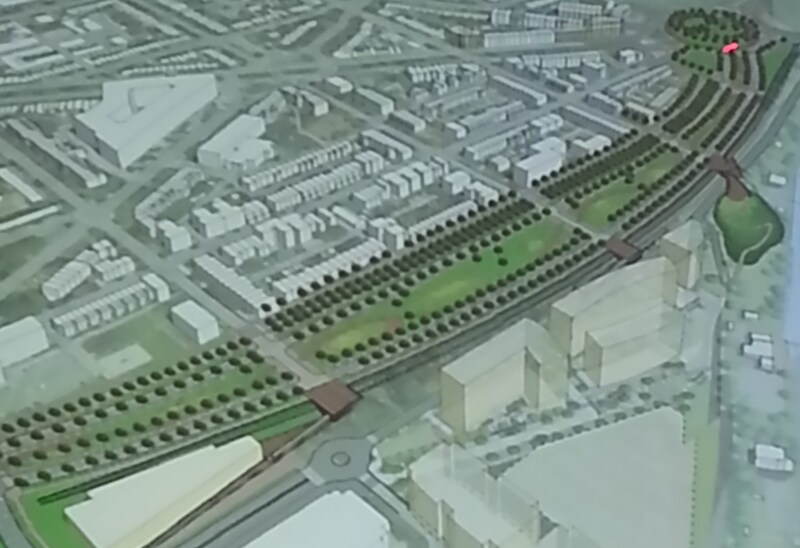 Maybe that should be done–cover over the tracks from about where 16th Street would be all the way to the tunnel by 11th Street. That would also take care of the train horn blasting as they go into the tunnel now, as well as provide better access to the river. 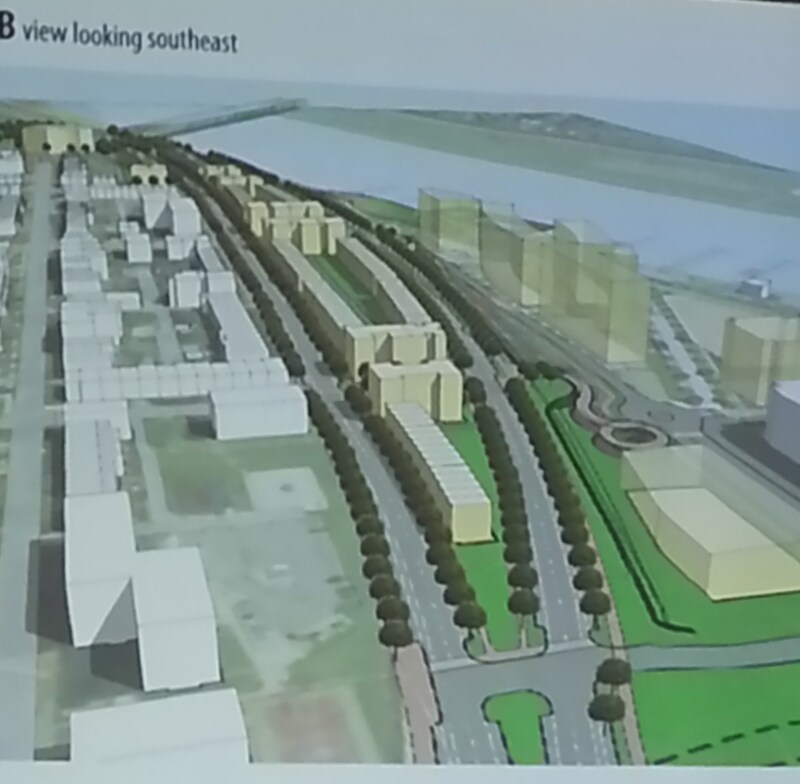 If we wish to maximize views and parkland, couldn’t we be offered the third option but with 2 lanes, instead of 4? Less traffic through the neighborhood. It’s amazing that the agencies who have spent so much time and effort on this project still aren’t able to answer the basic question of why this project is needed. If there isn’t a good answer, in general, then a 4 lane, high speed, high volume street should not even be entertained as an option, and a No Build option should also be considered, with the corresponding Pros and cons. Option B is the best of the three. Option A has the best mix of transportation, housing and green space. The area needs an arterial, not another congested 2-lane street. And parks are great, but there’s enough underutilized roadside parkland in DC as it is. Also, what is up with the floating swimming pool in option B?